Every investor's desire is to find an opportunity to invest and get good returns on their investment. Investing in cryptocurrency also requires caution and understanding its price movements. Invest when there is a dip or when you are optimistic that the coin will surge. You cannot buy cryptocurrency coins through a regular brokerage account or from the Bank because it is not yet regulated by the authorities. Cryptocurrencies are commodities that any interested investor can trade in. There are numerous cryptocurrencies available today such as Bitcoin, Ripple, Ethereum, Litecoin, Dash, IOTA, ZCash just to mention a few and several of cryptocurrency exchange sites. Research on how the coin is performing in the market and choose the right ones to invest in and the exchange to use. It’s not always possible to perfectly time your buys and sells because there is no set path to take when trading cryptocurrency. Cryptocurrencies have a decentralized nature meaning that it cannot be shut down or be easily manipulated. Bitcoin has been a good example that many people who traded have reaped numerous benefits from it surge. This shows that cryptocurrency is for sure the next big thing in the investment industry. To Buy and Hold is one of the best strategies to use in cryptocurrency trading. There are people who want to be day traders but that will not reap much benefit as it is in the short-run. The prices can rise and decline due to the factors of demand and supply of the cryptocurrency. In this industry just like in any other investment, the general rule of the thumb is to risk what you can afford to lose. Your investments goals determine the path you take and the capital you choose to risk. You don’t necessarily need to buy whole Bitcoin, you can buy in small portions divided in decimals. In some exchanges, you can select short orders that allow you to hedge against the risk of losing your entire investment. For example, a simple strategy would be to have 85% long and 15% short, a strategy that assumes that you are more confident in a long position. This is where you get involved in actual trading. 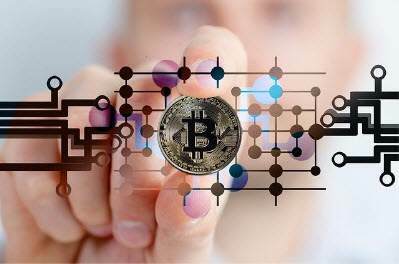 Follow news, blogs, and other information sources to know more about cryptocurrency and to make the appropriate decisions at the appropriate time depending on the movement of prices. Cryptocurrencies are the future of currencies and soon it will become a mainstream currency. Cryptocurrency can also be mined. Investors can seek more information on the best Cloud mining sites where they can mine without owning or setting-up the mining hardware. Do an in-depth research on the genuine sites as there are so many scam sites out there.